Dartmouth College, the smallest school in the Ivy League, is nestled in the mountains of northern New Hampshire. The expected GMAT score for Dartmouth’s Tuck School of Business is undoubtedly high. 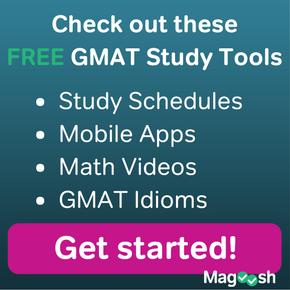 But, if you’re interested in a small and intimate program, studying for a high GMAT score will be worth it. Like the university as a whole, the MBA program at the Tuck School of Business is uniquely small. This, coupled with its beautiful setting, could make Tuck the perfect program for the right student. Hanover, New Hampshire, is an idyllic northern New England town. If small town life is of interest to you, then Dartmouth is the perfect fit. But if you’re more of an urban city dweller, then Dartmouth’s location might make you shiver. The Tuck School of Business is very small, with a total enrollment of less than 300 students. This makes the program extremely small when compared to its competitors at Harvard, Columbia, and elsewhere. But for many Tuck students, the program’s size is its main strength. Because students are able to easily know each other, the program is said to have more of a collaborative than competitive environment. This can be a welcome relief from the environments at many comparable b-schools. Most business schools have multiple degree programs in addition to the MBA. But that isn’t so at Tuck: it has only one program, its MBA. For some students seeking Executive Education, that’s obviously a deterrent. But for the student who wants an MBA, Tuck believes there are many advantages to attending an MBA-only school. It means that all the resources of the school are focused on educating only its MBA candidates. There’s no doubt that that makes the quality of the education substantially higher. Since Tuck is a small but prestigious program, the volume of applicants is large, but the number of spots available is small. This makes for a very competitive admissions process. 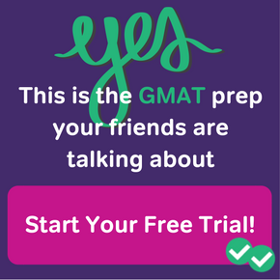 You’ll need a very high GMAT score for Tuck School of Business. The average GMAT score of admitted students was 722, and the middle 80% scored between 620 and 780. So, to be competitive, you’ll need a score above 700. Other factors matter in admissions. In addition to a high GMAT score for Dartmouth, you’ll also want to arrive on campus with substantial work experience. On average, students arrive with 5 years of high-quality prior work. The average GPA on a 4.0 scale is 3.5. The most recent class of 2019 included only 293 members. That’s not a lot of spots! Be prepared for stiff competition if you’re planning to apply to Tuck. According to both US News & World Report and The Economist, Dartmouth’s Tuck School is the eighth best business school in the country. Impressive! Within subcategories, The Economist gives Tuck especially high marks. The school is first in terms of alumni satisfaction. Notably, it also ranked fifth in terms of the percentage of students who have a job offer within three months of graduation. In other words, students at Tuck don’t have a difficult time finding jobs! So students who worry that Hanover’s distance from a city is disadvantageous can calm their nerves. Tuck offers a full overview of its various rankings on its web page. Bloomberg ranks the program #7, the Financial Times ranks it #10, and Forbes ranks it #5. For students seeking a well-regarded, small, and collaborative graduate business program at an Ivy League university, the Tuck School of Business might be perfect. The school combines high-quality career prep with a rural setting that allows for close contact with one’s peers. But all of this means, of course, that admissions are challenging. Getting into Tuck is no easy feat. The average GMAT score for Tuck School of Business is well into the upper percentiles. Meeting that threshold won’t be easy, but for the few who do, it will open the door to a worthwhile two years of MBA education! Will you be applying to Tuck? 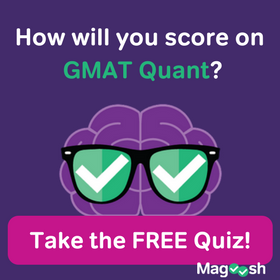 Which GMAT score for Dartmouth are you aiming for?